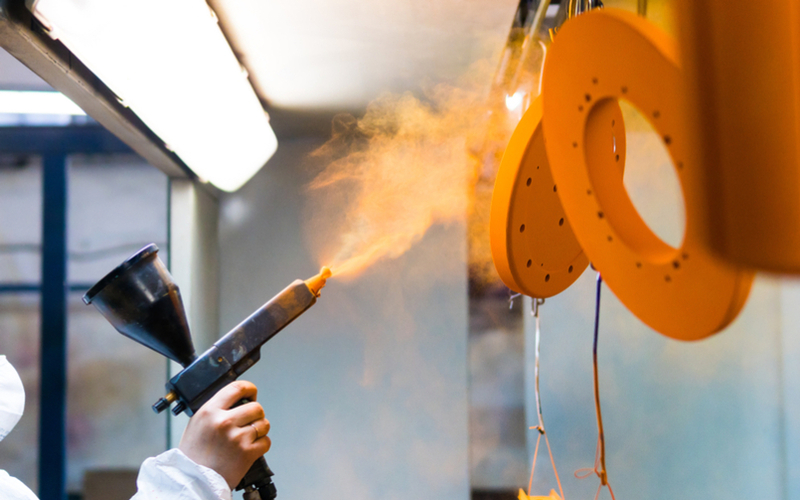 From cross-contamination to improper curing, there are several common powder coating mistakes that can mess up the quality of a finished product. When properly applied, powder coating offers a lot of benefits, especially when compared to traditional paint. For one, it is a solvent-free process and emits up to zero volatile organic compounds (VOCs). Plus, any overspray is recyclable and so it eliminates waste associated with other types of paint. When powder coating is properly handled and manufactured, it can offer a long lasting and very uniform finish. Bonus perk is that you have a plethora of colors and textures to choose from. One simple mistake can wipe away many of the benefits associated with powder coating. That’s why the quality of powder coated products varies so widely. Utmost attention to detail is crucial during application. Have you ever received a product that had a mystery speck or two etched in the material? The tiniest speck of hair, dust or lint can mess up the final product. In fact, defects are most often caused by contamination. There are several things a manufacturing facility can do to limit the chance of dust or dirt contaminating the product. For one, powder coating rooms should rely on filtered air with air moving out of the room instead of into it. That way dust from other parts of the building aren’t floating in and contaminating the product. Secondly, the conveyer chain should be sheltered from the part below it using a sanitary pan is set up to catch these contaminants as they fall. That way as the dirt builds up on the chain it doesn’t fall right out onto the product. Employees may also be required to wear lint free jumpsuits and hair nets. Even the tiniest specks of thread from clothing can cause issue. It’s not just dirt and clothing particles that can contaminate a product. If more than one product is being made at the same plant, the colors from one powder supplier can contaminate the room or oven that another supplier is using with different powder coating. Class A products are manufactured in Class A facilities, and that means facilities are extremely clean. This includes daily maintenance chores like cleaning out hoses, pumps, and electrostatic guns. Cleaning out ovens is also important, and something that is surprisingly forgotten in many plants. While it used to be common practice to clean ovens once every three months, some people now go years without cleaning their ovens. The goal is to sweep and vacuum the oven on a regular basis to prevent a buildup from causing defects. When it comes to undercuring or overcuring a product, there are different issues that arise depending on the color of the product. For instance, white products that have a yellow-ish tint are typically overcured, while white products with a bluish tint are typically undercured. Constant checks must be run to ensure that products are curing at the right temperature and for the right amount of time. Plus, ovens may have different temperatures in different parts of the oven. That’s why newer ovens usually include multiple measurement areas. Ideally, powder rooms should be kept at 50% relative humidity and 70 degrees Fahrenheit – give or take 5-10 degrees. 80 degrees and higher is considered too hot for powder storage. Too much or little humidity will impact how well the powder application coats the product. The pretreatment stage is intended to occur in succession – not with long breaks in-between. Yet, it’s not uncommon to see people stop the process to go on break or to go home for the night. The part should remain wet through the entire pretreat process. When you shut it down the part dries out and it will start to rust as soon as the moisture dries up. Since you can take that part off the line, coat it and it still looks good, it’s easy to cover up this mistake. Yet, over time that product will not age as well, and rust will eventually show through. All our aluminum products are powder coated, including our light poles, light fixtures, and bases. We make all of our products right here in the USA, which grants us transparent oversight of everything that goes on during the manufacturing process. As a result, we are able to avoid common mistakes and create high-quality products that provide all the benefits of powder coating. Looking for a different option? 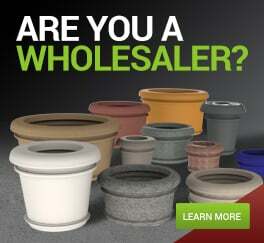 Ask us about our resin-based products. Wondering what the difference is? Check out our blog about powder coating vs resin.